The bills are not law yet. Contact Governor Walker today. We want to thank every League member and friend who contacted lawmakers or went to the State Capitol this week in opposition to the lame duck session of the legislature. Without much notice and with little information coming directly from the authors of the bills, the League worked over the weekend to understand the bills, write testimony, and educate our local Leagues and voters across the state. We couldn’t have done it without the teamwork of the experts on our state Legislative Committee, our professional staff, and all of those who reached out to their representatives with the good advice to reject these anti-democratic bills. The bills have been passed by both houses of the legislature and now are headed to Governor Walker to be signed into law. Here is a good summary of the bills and the process. We can be pleased that the proposal to move the presidential primary did not even make it to the floor for a vote, and the Attorney General's office was not weakened quite as much as was proposed. In addition, the rushed and secretive process for this sleazy power grab gained national notice. TODAY Contact Governor Walker online or by phone (608-266-1212) or by email govgeneral [at] wisconsin.gov and tell him to veto the Extraordinary Session bills, which weaken our system of governmental checks and balances and were passed in a hasty and secretive manner. They were passed without any information as to how much these changes will cost taxpayers. Check out the League’s written testimony or hear Ingrid Rothe present it at the public hearing (testimony begins at 3:31:15). In the coming days and weeks, the League will be talking with our partners about next steps on this matter. We promise to keep you informed. 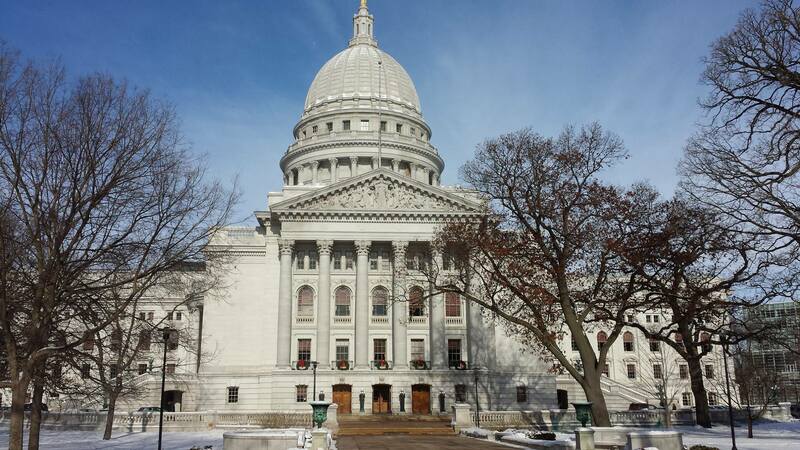 We are also planning for the upcoming legislative session in 2019, as well as preparing for the important spring elections which will include candidates for the Wisconsin Supreme Court. Again, thanks for being an active, involved citizen. Your engagement makes a difference.